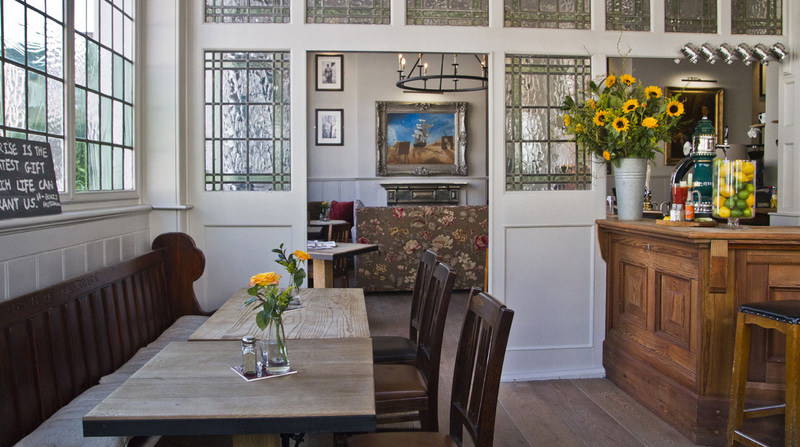 The Surprise is a Gastro Pub in Chelsea, London serving great British Food and Ales. The Surprise; a very welcome one if you happen across it by chance but more and more have been seeking it out, often thanks to a menu of flavourful bite-sized treats akin to a British Tapas and a broad selection of carefully-chosen wines to match. The wine list is chosen by John Clevely, Master of Wine, and is like the pub, small but perfectly formed. Our menu serving up “small plates” means there’s no need to choose just one great British dish, but you can have many, Rupert’s best is 4. With real ales on tap, and tankards for every house in the street, just call out your house number and we’ll fill it for you.